I must say I Love how this tag came together! However, I am going to give credit where credit is due! Thanks Julie for your beautiful work! The paper is a mixture of recollections and scraps. The sentiment is something from the Dollar bin at Michaels. The hearts are from Verve in the Take Note Stamp set. The balloons are a MS punch. The tag is from Stampin Up and I drew the dash lines. The rest is just pieced together from this and that! I also just drew my strings with a marker. 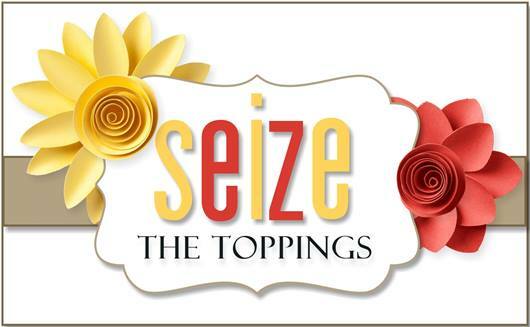 This tag is for my post over at STB…. 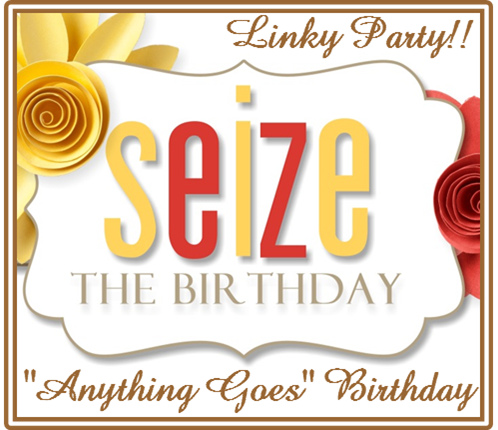 Here is part of my post from Seize the Birthday! Please join us! We would love to have you! 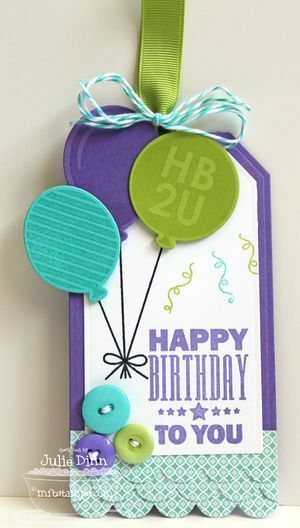 Categories: Cards | Tags: Card making, Cards, Happy Birthday, rubber stamps, stamping, tag | Permalink. For some reason, my computer would not let me open your email, so I had to come over here to see. And boy, I was not disappointed. I LOVE that tag. It is soooo cool looking. YOUR tag ROCKS, Nancy! LOVE the glittery red! LOVE the balloons with the hearts and the xoxo paper! The black, red, and white is just Stunning! LOVE this! I LOVE this tag Nancy, especially those sparkly balloons! Love your tag and all of that glitter! Beautiful job! 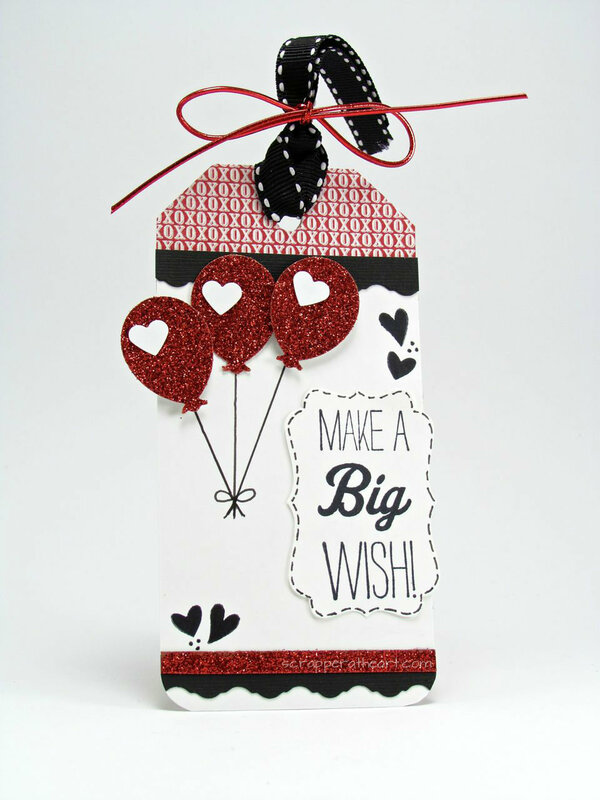 Awesome Birthday tag…love the bouquet of sparkly balloons!